Oscar Sunday is almost here! Which means we are all making our guesses and predictions on what films will go down in history as Oscar winners. Personally, I think this year has been a bit bland, but let’s have fun with it anyway. Personally, I hate to cut Brooklyn off, but I think it would have been cut because 1. some might see it as a bit straight forward and underwhelming and 2. Mad Max and Room already have female protagonists and Hollywood is still pretty sexist. A quirky movie about white guys betting on the collapse of the American economy would probably be seen as “more important” than the story of an Irish immigrant girl. Bridge of Spies is pretty bland and The Martian isn’t serious enough. These are only my opinions about how The Academy would have whittled it down, just for shits, giggles and food for thought. Honestly, I’ve only seen Inside Out, but I so love Inside Out. And it is the only other nominated film that also has another nomination (original screenplay). Pixar will take it again. Mad Max: Fury Road is my bet. The world created is so crazy, beautiful and immersive. I love all the details. Honestly, I’ll be kinda pissed if I’m wrong here. I think this is a toss-up between Mad Max and The Revenant. Both excel here in very different ways. If I had to choose, I’d go with Mad Max simply because there are so many different characters with many different styling needs. All these movies are so worthy of nomination, but Mad Max stands above and beyond here. I’m never good at predicting this category. The Big Short has the most stylized editing, Star Wars does such a good job that it feels like one of the old trilogy, but I feel like both of those seem too obvious. I imagine there is so much going on in Mad Max that the editing must have been exhausting. Chalk up another for my love, Mad Max. To me, the way The Big Short was written is simply what makes it great. Maybe it’s because I watch it 3 times a week with my son, maybe it’s because I’m still not over Bing Bong, but I would love to see Inside Out win this. I think it is by far the most inventive and imaginative film and it works because of the perfectly woven story. I know she’s a long-shot, but I loved Jennifer Jason Leigh in The Hateful Eight. Ugh, I find it sad that no one really stands out for me here. I’d bet on Tom Hardy in The Revenant. Unfortunately, I’ve only seen Room and Brooklyn, so I don’t haven’t seen a majority of the performances. I loved Brie Larson in room, maybe she can pull ahead of Lawrence and Blanchette who have already won before. As much as I would love to see George Miller win for Mad Max, I think Alejandro González Iñárritu has it in the bag this year, again. But really, I want to see some women nominated next year, dammit. While The Academy did rightfully nominate Fury Road in all its awesome glory, I think it is too rough around the edges, not refined enough for this crop of voters to bring home the big trophy. The Revenant is just as well done, a lot less colorful and little less crazy. They’ll play it safe. But years from now, which of these movies will be remembered? I plan to take my son to the Mad Max: Fury Road 20th edition re-release (let me know when tickets are on sale). And we’ll talk about the tragedy and triumph of Room, laugh about how The Martian is nothing like the recent Mars expeditions, and forget about the rest. I hope we all have such high hopes for the future. Whatever the outcome on Sunday, I wish all of you a happy Oscar night! 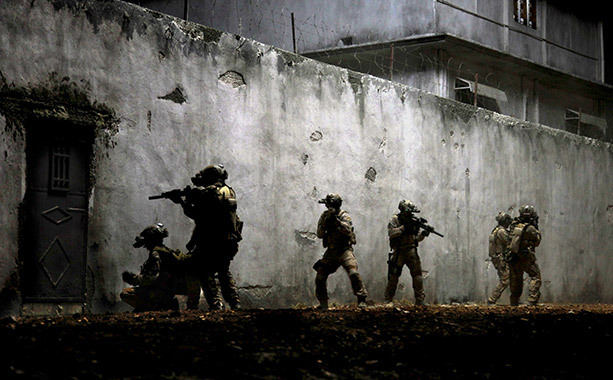 As I walked into the theater to watch Zero Dark Thirty, I was joined by people from all walks of life. There were wives in fashionable outfits, a large group of young men, a few in military attire and middle-aged couples with big guts. There were all races spread through the theater. There was even a boy no older than ten, shocking considering the realism and torture scenes. All these different people were together, and I would assume from the way the film has been advertised many of them for a film about taking Osama Bin Laden down, but I’m not sure if they expected how it was presented. Directed by Katharyn Bigelow, the film follows a CIA operative’s search for Osama Bin Laden after the terrorist attacks of 9-11. We watch from 2002 to 2011 as Maya (Jessica Chastain) aids and then leads the search. She starts out on the hard stuff, aiding in the torture of detainees. Between sleep deprivation and water-boarding she and Dan (Jason Clarke) ruthlessly bombard prisoners with questions on the whereabouts of Bin Laden and his messengers. When those methods are no longer allowed, Maya’s job is brought to a desk where her information is brought over phones, from third parties and moves much slower. But when one key piece of information is brought into focus, the whereabouts of Bin Laden are more probable. There is no way to know for sure if they have found his location, unless action is taken. And Maya is the force behind making sure it happens. As Maya and her co-workers inch closer to Bin Laden, we are steadily pulled in as well. 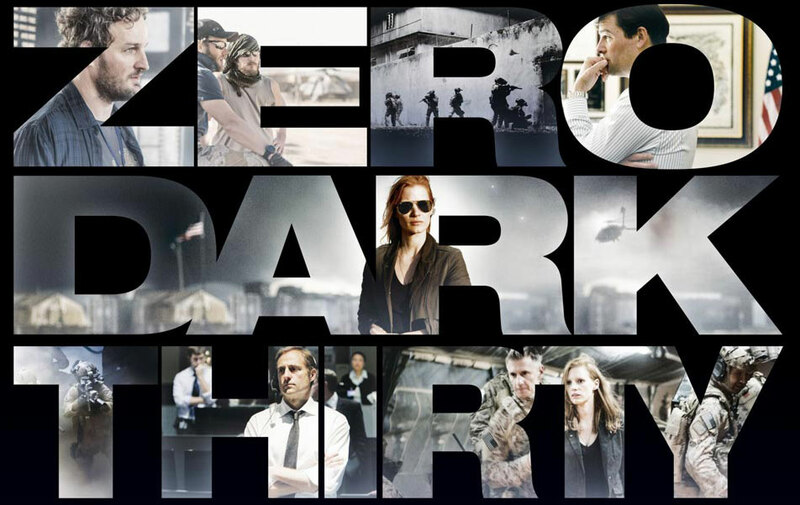 Many times, I feel that this sort of military/intelligence film gets boring or just loses me in all the red tape, but I found Zero Dark Thirty more and more compelling every minute. There is a good mix of narrative, visual storytelling, action and our heroine is a force that refuses to quit. 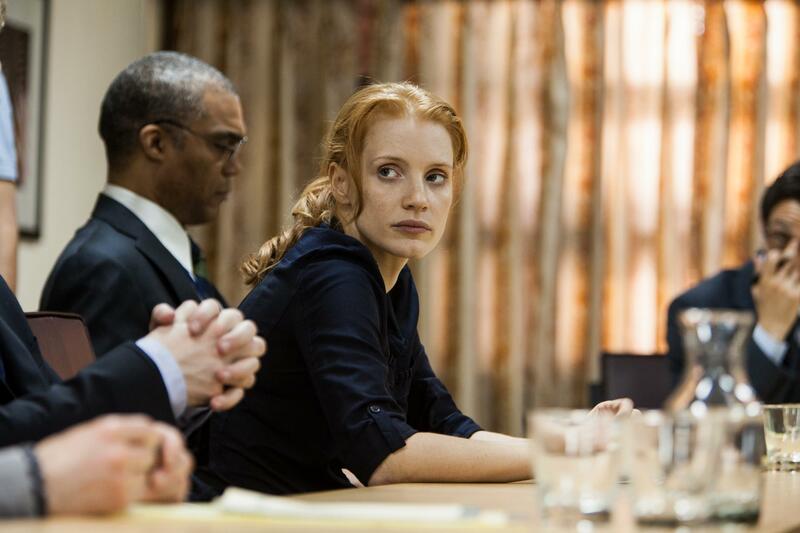 Jessica Chastain presents Maya as strong and smart woman who will not be held back. We watch nearly a decade of her young adult life go by, completely dedicated to finding Bin Laden. The film doesn’t show Maya ever having fun on the town, on dates or having any real personal relationships, and we assume there isn’t time for them in her life. Many may see Maya’s role more suited for a man, but the character is based off an actual female CIA agent who is presently undercover. No matter how true to life Chastain brings her character, I believe her nomination for best actress is well deserved. The action in this film is more realistic and less Hollywood than I think most people expected. The torture is gritty and can be hard to watch. Terrorist attacks are genuinely frightening, chaotic and that one big boom really catches us off guard, just like it’s supposed to. And while watching Seal Team 6 in action may sound like a young boy’s fantasy, we’re reminded that this isn’t Call of Duty. The Seals move carefully, try to get in and out quickly and professionally. And there seems to be a sever lack of heroism telling a room of crying children that everything is okay when you just killed their parents. Like I said, in my screening, I saw the whole spectrum, like a little America, in the theater. However, by the end of the film is a feeling that I’m not sure any of us were ready for. We see Maya in tears, her work of nearly ten years finally complete, but what does she do now? Even harder to ask is was it all worth it? While I don’t doubt that ridding the world of this terrorist leader was a good thing, this feels like a hollow victory, especially for Maya personally. It took ten years to take out one man, how many decades do our agents have to sacrifice to get it done? The third installment of Christopher Nolan’s Batman trilogy picks up eight years after The Dark Knight. Since then, Gotham has adopted Harvey Dent as their hero, keeping hundreds of thugs and mob men locked up under an act named for him, and the Batman hasn’t been seen since Dent was killed, taking all the blame. Only Commissioner Gordon (Gary Oldman) knows the truth about Dent and Batman’s innocence, but since this lie has helped make Gotham peaceful, he keeps the real story for another day. The whole city is unaware that a storm is brewing, led by a man more evil and powerful than Gotham has ever encountered, Bane (Tom Hardy). Bruce Wayne (Christian Bale) first gets wind of this from a thief putting her allegiance in the wrong hands, just looking for a clean slate, Selina Kyle (Anne Hathaway). Bruce knows he must bring the Batman back to protect Gotham from this new rising terrorist, even though Gotham believes he is an enemy. Throughout the film, there is the idea of pain, both physical and emotional. There is Bane, his mask sending him a constant surge of morphine. For a while, Gordon is in the hospital and we are told of his broken family. We see Bruce limp, struggle to fix his leg and later physically build himself again. Alfred tries to spare him pain by hiding the truth about Rachel. And Blake (Joseph Gordon-Levitt) and Bruce understand each other from their experiences growing up as orphans. Then there is the idea of class warfare. In all three films there has been a large gap between Gotham’s elite and the lowest of the low. The fact that Wayne Enterprises has stopped funding an orphanage does not help. Bane exposes this flaw and lets Gotham’s prisoners take control of the city, while trapping all the police underground. Suddenly, the wealthy are thrown onto the streets while thugs crash in their homes. And Bane begins this madness at a football game, destroying the stadium and a private box area in front of a full crowd. I doubt tickets to a Gotham Rogues game are cheap. Then there is the idea that one man’s tools can become another man’s weapon. It is hard not to be sickened by the stark reality of this after the shooting during this film in Colorado. Anyone familiar with Batman comics knows that only villains use guns and Batman seldom kills. His tools are designed only for him by Fox (Morgan Freeman) and hidden from falling into anyone else’s hands. But Bane breaks in and starts using the tank-like batmobiles to roam and threaten the city. Worse, Wayne Enterprises has secretly developed a fusion based sustainable energy source, but in the wrong hands, it has been turned into an atom bomb capable of destroying all of Gotham. I believe The Dark Knight Rises was the best film of the summer. How that will hold up come Oscar season is always questionable. Nolan’s last summer smash, Inception, was a Best Picture nominee. There is also more favor toward the finishing film of a trilogy with the Academy (LOTR:ROTK cleaned house) and TDKR finishes this franchise in a strong fashion. Considering how there have been 10 nominees for the past three years now, I would not completely count TDKR out of the running, but I do consider it a long shot However, I’m sure some sound and visual effect nominations are in store. And did anyone else feel especially moved by Michael Caine’s Alfred this time around? I know the field is thick, but I hope I’m not the only one looking for a supporting nomination there. In early 2008, The Dark Knight was well anticipated for its summer release when it encountered unexpected tragedy. On January 22, 2008, Heath Ledger died of an accidental overdose of a sleeping medication. Days before his death, I remember seeing teaser posters going up in the local theater, with Ledger’s Joker hazed and writing Why So Serious? in blood in the foreground. The weekend after Ledger’s death, those posters were gone. The premature end to a great, young actor was too serious for the film community to keep such an ironic image in the public eye. To further the sad irony, The Dark Knight deals with elements of chaos and tragedy that Ledger’s Joker unleashes across Gotham. In The Dark Knight, Batman has become a well known vigilante, but not everyone agrees that what he is doing is good. While some criminals are running scared, others are larger than ever, seeming to act out of defiance. This leads some to believe that the Batman should be arrested. But with the arrival of a new kind of criminal, who doesn’t have any motive other than just to throw Gotham into pure chaos, Batman is necessary. Meanwhile, Bruce’s love interest, Rachel (Maggie Gyllenhaal) is now dating Harvey Dent (Aaron Eckhart), Gotham’s District Attorney. It’s only a matter of time before they become The Joker’s targets. It takes an amazing amount of discipline to portray chaos in a manner that doesn’t leave the audience confused. In the film, Nolan has scene after scene of Gotham being thrown into The Joker’s insane plots to deal with and control. There’s an attempted assassination during a memorial service. Two ferries, one full of civilians, another full of prisoners, with the ability and choice to blow the other ferry up, or they will both be destroyed at midnight. Most nerve wracking, in my opinion, is the threat that The Joker will blow up a hospital (we can only guess which one) if a certain man is not dead in an hour. This puts all of Gotham in a frenzy to evacuate all the hospitals and protect a man that many citizens are trying to kill. With The Joker hatching new schemes and Batman, Gordon (Gary Oldman) and the rest of Gotham scrambling to keep up, there is never a dull moment in this film. The Dark Knight was nominated for an astounding eight Academy Awards, mostly for technical aspects, but only won two Oscars. Heath Ledger posthumously won the award for best supporting actor with his daring and twisted portrayal of The Joker, and rightly so. Every scene he is in, he controls it and mesmerized the audience. His demeanor is so unsettling and raw that we are drawn in out of curiosity and cannot look away out of fear. Some of his moments are hilarious in his own menacing way. I love him visiting Harvey in a nurse’s uniform, complete with a red wig. Others are horrific and surprising. The magic pencil trick is a moment that shocks us and before we can even process what just happened, the scene is moving on with no remorse. The Joker is a role that could mess with anyone’s head, and Ledger pushed boundaries with his character to points where his audience was in awe, disbelief and admiration. He is an actor that is dearly missed. Out of the trilogy, I hold The Dark Knight far above the other two films, and believe it is one of the biggest Oscar snubs in the past decade. In fact, I suspect the Academy began picking ten Best Picture nominees after 2008 because of the great error in not nominating this film. The story moves fast and keeps the viewer on the edge of their seats. The sounds and visuals are amazing and immersive. And Nolan’s direction is only surpassed by Ledger’s acting. Though other films based on comic books have been good, none were great until The Dark Knight.